Facebook Offer Ads launched in 2012, long before the explosion of mobile web surfing. In late 2015, mobile Internet access passed traditional desktop and laptop web access for the first time. This is due of course to the massive popularity of smartphones. The computer, camera, and features in your smartphone are equal to or more capable than the equivalent attributes of laptop and desktop computers of just a few years ago. Since smartphones are so small and mobile, extremely portable, they are preferred to bulky and less portable computers like desktop PCs, laptops and notebooks. This was not always the case. The first smartphones had very tiny, low-resolution screens, and the phones themselves didn’t do too much. Now you can run your entire business from your smartphone, because of the computing power and features available. The screens have also become much larger, as has the resolution on those screens, and this has driven the move from traditional web surfing to mobile, at-yourfingertips web access. The old Facebook Offer Ads program was good, but it wasn’t perfect. No marketing method or tool is ever going to be perfect. There will always be pros and cons. The problem was the old Facebook Offer Ads program and more cons than pros. Thanks to a revamping in 2016, Facebook Offer Ads now allows you to track how many of your offers have been saved, as opposed to the old “offers claimed” tracking method. In the past, all someone had to do was click on your offer and you were told that someone had “claimed” your offer. This was very misleading. A person may have clicked on your offer with little to no interest to ever redeem it. This led to a false reporting of analytics, and sometimes a false sense that your offer was performing well when it was not. Now someone must save your online advertising offer before your page insights will report that someone is interested in that offer. This is a change that Facebook marketers have been waiting for years, and it is finally here. Another smart change to the Facebook offers experience regards how your fans redeem the offer. If you run a brick-and-mortar business, you can include a promotional code or barcode with your offer. This makes it super simple for customers to pull up that code on their smartphone when they are at your physical store. This makes the mobile advertising experience easier for your customer, and also speeds up the process for your employees. While a customer is at your store attempting to redeem your coupon, they can browse the “Offers” tab that shows up on your page on their mobile device. This gives them access to your past offers, and they can choose the best active offer for their particular situation. 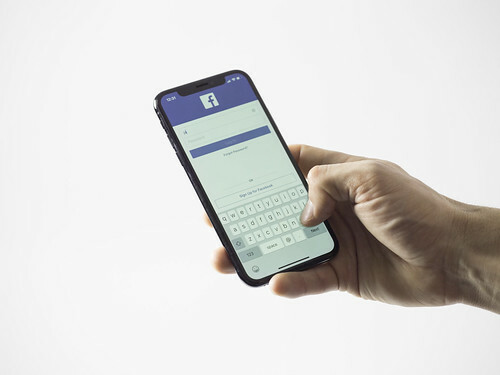 Access to the “Offers” tab on a mobile device is also available for Facebook users who purchase products and services online. These changes to mobile are welcome, and support and enhance FB users and business owners’ experience with the Facebook Offers program. Want to Discover More About Facebook Offer Ads? Facebook Ads can cost a lot if you’re not careful. Here are 7 tips to reduce those costs. Click the image to get your copy of this free report.